The Manor of Sutton Coldfield belonged to the Earls of Warwick in the Middle Ages. The manor, in common with all the other manors belonging to the earl, was managed by the earl’s officials, headed by his Receiver General, with the objective of developing Sutton to make it ever more prosperous and profitable. Richard de Beauchamp became Earl of Warwick in 1401, and his Receiver General, John Baysham, came to Sutton, reviewed the rents and privileges of the inhabitants, and gave new leases to the Lord’s tenants. A bailiff’s account of 1433, when the rental income from the manor was about £45, shows that Sutton was valuable not just for the income but also as a centre for hunting. A Chase Rider was employed, receiving a daily allowance of a peck of oats and three cartloads of hay per annum for his horses, and in the hunting season the Earl’s horses consumed twenty cartloads of hay. The bailiff also accounted for “12s. for carriage of 12 fat bucks from Sutton to the lord”. Earl Richard was a powerful and rich baron, early distinguishing himself in King Henry IV’s service at the Battle of Shrewsbury in 1403. By advantageous marriages he doubled his estates and became the wealthiest baron in England. He fought in France with King Henry V, and in 1422 was given the poisoned chalice of forming the government in the new reign of the six-month old King Henry VI. Many years were spent in France - he was at Rouen for the trial of Joan of Arc - but he returned to England the next year in 1432. His favoured residence in England was Caversham Castle, near Reading, and it was to Caversham that the 12 fat bucks from Sutton Coldfield went in 1433. At that time John Verney was Receiver General to the Earl of Warwick - he was given the tenancy of New Shipton Farm in Sutton as one of the perks of the job. Richard Beauchamp's will was made at Caversham in 1437, where he specified in that he was to have a splendid monument for his tomb in St. Mary’s Church, Warwick. 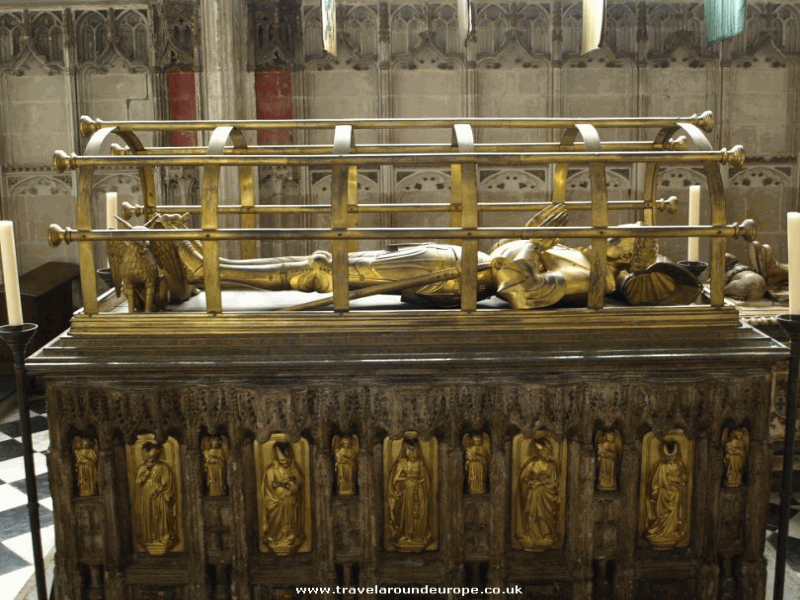 He died in 1439, and visitors to Warwick can still marvel at the magnificence of his monument in the Beauchamp Chapel there. Tomb of Richard de Beauchamp, Earl of Warwick.